Ever wondered how wireless keyboards with touchpad came into existence? It was due to the surge in the sales of Smart TVs. Typing using traditional remote controls was hectic and time consuming, was prone to errors and hence frustration. There was a need for input devices, possibly wireless, that can perform the tasks of providing commands to the television set, just like we had for computer systems. But having separate devices for movement, clicks, and typing was not user friendly and highly expensive. Hence came the keyboards with a built-in trackpad to combine all such needs into a single, portable device. 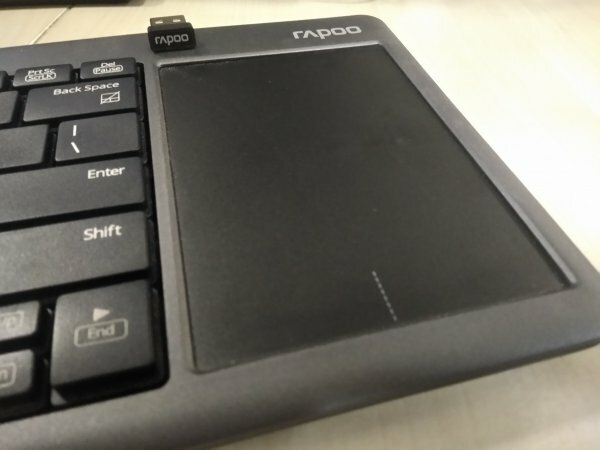 In this post, I review the Rapoo K2600 wireless keyboard which features a dedicated touchpad and break down its pros and cons. Note: The pun in the title is intentional and true to a certain extent. The keyboard comes in a compact design with rounded edges and matte plastic finish, thus making sure the fingerprints do not stick. The total size is same as that of a traditional keyboard, with the trackpad replacing the number pad. On the keyboard front, there are dedicated buttons for multimedia operations. 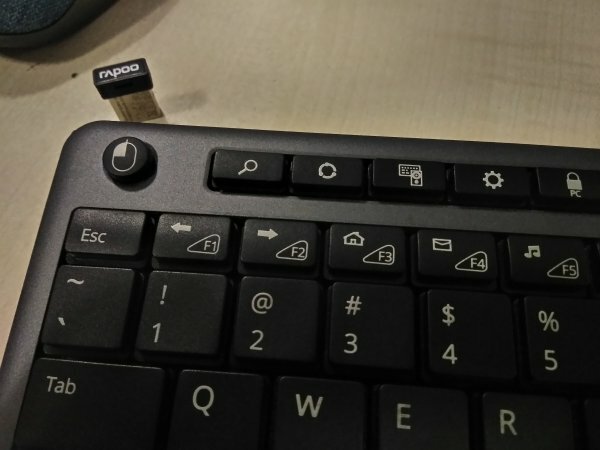 There is a separate row of buttons at the top providing dedicated keys for searching, locking the PC, shutting down the machine, and entering the PC’s settings. Few of these only works with Windows and convey no warning, so make sure you know what you are doing. On the top left stands out the key replicating the Left Mouse Button. On the mouse front, the trackpad measures roughly 76×108 mm. It supports all the commonly used gestures, along with a few non-common ones, the ones that involve the usage of up to four fingers at the same time. There is also an option to disable the trackpad to avoid accidental touches. On the rear, there are five rubber legs to support the keyboard – four at the corners and one at bottom-centre. There is no way to raise the height of the keyboard, which is a huge let down. The top left features the battery compartment for two AA batteries, along with a dedicated slot for housing the nano-receiver when the device is not in use. Rapoo K2600 weighs around 450 grams, so it is best to keep it in your lap or on the table when using; holding it in one-hand just won’t do it. The use of anti-oxidation sealed membrane ensures the circuitry is not oxidized, thus ensuring a longer lifetime of the product. As far as the keys are concerned, there is little-to-no tactile feedback. Also, to make the product compact, the spacing between the keys is lesser when compared to traditional keyboards. All this makes it highly ineffective to dive right in and use it for quick typing. In short, it takes some getting used to, and even then, one simply cannot reach the same level of productivity as one would on a traditional keyboard. But then, that is not what it is designed for. Its major highlight is the dedicated touchpad on the right. Although it supports multi-touch gestures, which is a big plus for easy zooming in-out for instance, it needs a learning curve since the gestures aren’t reprogrammable. I highly suggest the product team to enable this functionality via a software medium, because the lack of it undermines the most important feature the product provides. The touchpad is quick to respond to touch, and the dedicated button to disable it to avoid accidental triggers is a welcome move. The dedicated left mouse key is highly useful when playing games or surfing the internet on your TV – one can use the right hand for cursor movement and the left thumb to quickly select/open the underlying option. A range of 10 meters combined with a 2.4GHz wireless connection ensures seamless connectivity without hiccups or link jamming. 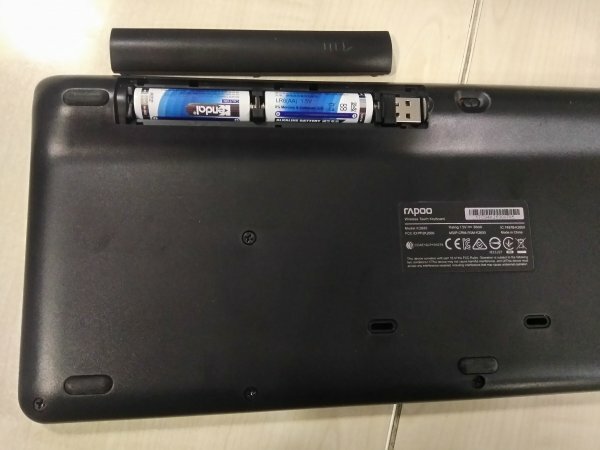 The two AA batteries are claimed to last for around 12-months. 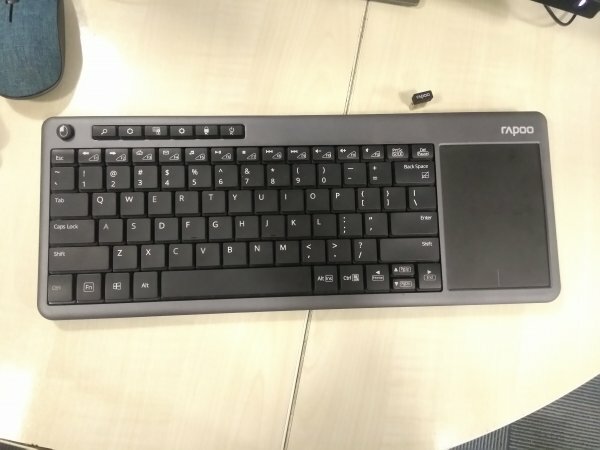 Rapoo K2600 wireless keyboard with a dedicated touchpad is a welcome product in the smart TV connectivity segment. For Rs. 2999, it is worth a shot. Doesn’t make sense if you are looking for a device to replace your traditional keyboard though.